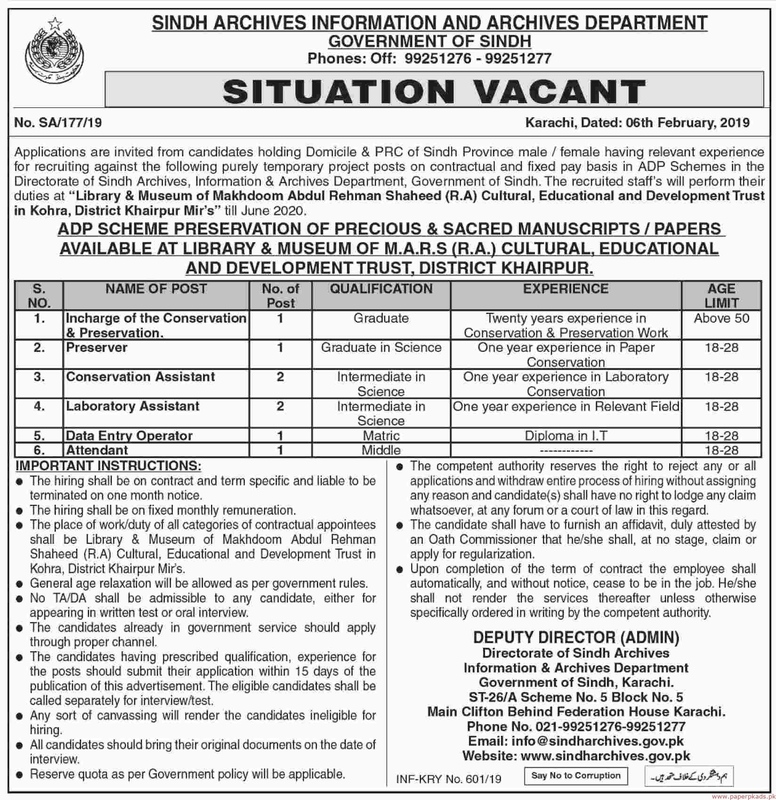 Sindh Archives Information and Archives Department Jobs 2019 Latest Offers Vacancies for the Positions of Incharge, Preserver, Laboratory Assistant, Conservation Assistant, Data Entry Operator, Attendant. These posts are to be based SINDH Karachi. The aforesaid Jobs are published in Dawn Newspaper. Last Date to Apply is February 25, 2019. More Details About Incharge, Preserver, Laboratory Assistant, Conservation Assistant, Data Entry Operator, Attendant See job notification for relevant experience, qualification and age limit information.